Following a weekend of festival chaos, we know there is no better feeling than sinking into the extensive new catalog of fresh live sets. 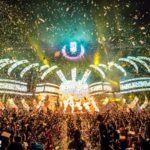 Whether you’re stuck in a cubicle, sweating hard at a work out, or just simply looking for something to make your Monday easier, we’ve compiled all the live sets released from Ultra Europe, right here. Stay tuned for more sets.